Ugo is a great idea — three restaurants in one on the best located corner in downtown CC. A gelato bar, a wine bar, and a red-sauce Italian trattoria, there should be something for everyone. Families, dates, groups of friends — they do great business. Unfortunately, the food is ho-hum, unironically serving regular red-sauce Italian-American favorites. The gelato is fine, but not exceptional — more tourist-quality than the fresh seasonal stuff at Bulgarini. It’s fine for the downtown CC crowd that keeps Rush Street packed and inexplicably keeps Daphne’s in business. 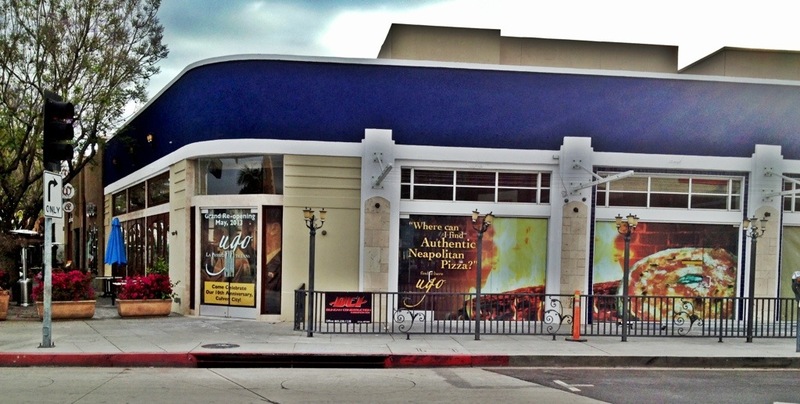 Let’s hope the move to Neapolitan pizzas will be a move up in quality. ← Chego East – Good News: Nothing’s Changed!